As we age, the changes our bodies undergo make us more susceptible to food-borne illness or food poisoning. Since food-borne illness can be serious, or even fatal, it is important for residents to know and practice safe food-handling methods to help reduce the risk of getting sick from contaminated food. 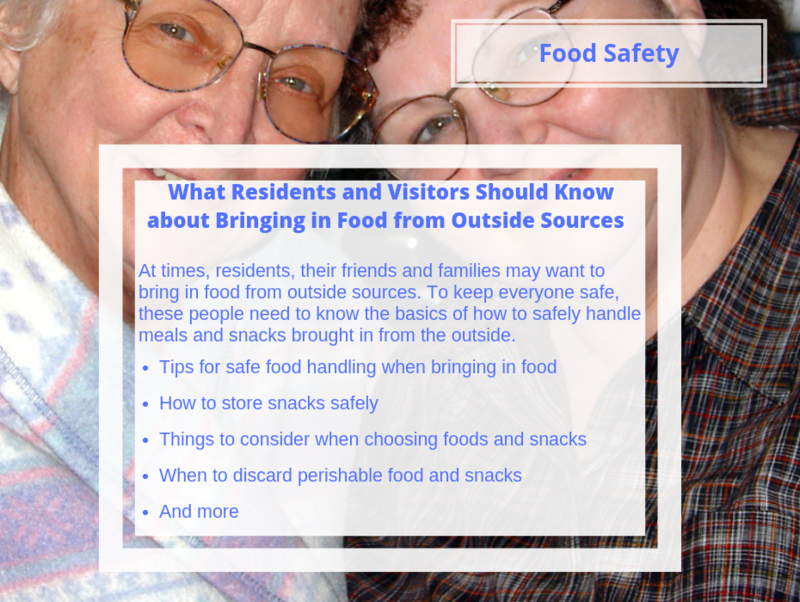 This tip sheet will help them understand what they need to do to stay as safe as possible when bringing in and storing food.